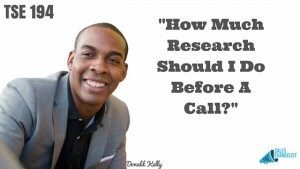 TSE 194: How Much Research Should I Do Before A Call? Home » TSE Podcast Post Page » TSE 194: How Much Research Should I Do Before A Call? Recently, in a post in “The Sales Evangelizers”, I proposed a question on researching before a call. I wanted to see what other sellers were doing. The results were interesting. Check out the post here. Overall, the majority of people feel you should do some research. For the most part, people are researching more than 5 minutes through LinkedIn, the prospect’s website, social media and good old-fashioned Google. My feeling on the matter is a resounding yes!!! I recently did an episode with my wife Cristina and she shared how someone called in unprepared and how unprofessional they sound. Many sellers think they can “tap dance” (speak off the cuff) pretty well, but in actually they are horrible. It makes you come off as an amateur and the prospect does not have any confidence in you. Here are some of my best practices when it comes to research and thoughts on why you should do it. 1. Come up with 2-4 qualifies that you can use to see if someone will be an effective prospect. Essentially, a list of qualifies and attributes (pains/challenges) that may resemble that of your current ideal customers. 2. Take that and create a list of “100 Dream Prospects”. You can do in depth research for more information on them outside of prime prospecting time. When it’s time to call, you will have your info and know what to say. 3. Recognize that the prospects are doing research on you when they are prospecting. A significant portion of their decision is made before the call when they are looking. You can and should do the same as well. 4. Research before the call also differentiates you. You’re able to stand out from the competition easily because they’re not doing much before hand. 5. Don’t overdo it. 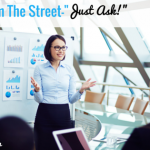 Many times sellers will talk themselves out of a potential opportunity with the information they find. In actuality, they should be looking for ways to qualify themselves not disqualify themselves. 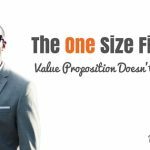 The principle I live by with research is, the more I know about the prospect, the better I can articulate a value proposition custom to them. TSE 1001: What Causes Fear and How to Overcome It?